An exterior view of the thatched Souter Johnnie’s Cottage, built in 1785. One of Robert Burns’s most famous poems, Tam O’Shanter; features characters who were inspired by people that Burns had met over the years, several of whom came from Kirkoswald. One such character, Souter Johnnie, was based on John Davidson, a souter or shoe maker, who lived in what is now known as Souter Johnnie’s Cottage. Kirkoswald features strongly in the landscape of Burns history. Burns’s mother Agnes was born near Culzean Castle, a 5 minute car journey from Souter Johnnie’s Cottage. Robert’s mother Agnes had strong links with the area for, after her mother died when she was 10 and her father remarried, she was sent to live with her grandmother (Mrs Ranie) in Kirkoswald. Agnes, who had a strong influence with regards to Scottish music and ballads, developed her knowledge from her grandmother in Kirkoswald as Grannie Ranie was a repository for old Scottish ballads and Covenanter stories. Burns himself had spent some time in Kirkoswald in the summer and autumn of 1775 at a school where he learnt the tasks of “mensuration, surveying, dialling, &c” which were mathematical instructions relating to surveying. John Davidson’s house, or Souter Johnnie’s Cottage, was built around 1785 and it sits on the main trunk road that runs through Kirkoswald. Davidson lived in the cottage until 1806 when he died and the cottage remained in his family as a home until 1920 when it was handed over to a committee headed by Rev James Muir, who was a scholar of Burns’s work. The property was taken over by the NTS in 1932 and restored to how it would have looked in the 18th century when Davidson would have live there. The cottage itself has two large rooms, with a workshop extension at the back. It sits amongst a lovely garden, which has a brew house featuring life sized sandstone statues of the poems main characters carved by Scottish sculptor James Thom around 1830. Davidson’s neighbour was a man called Douglas Graham, he had married Robert’s mother’s, Agnes, friend who was called Agnes Gillespie. Graham was the inspiration for Tam himself! 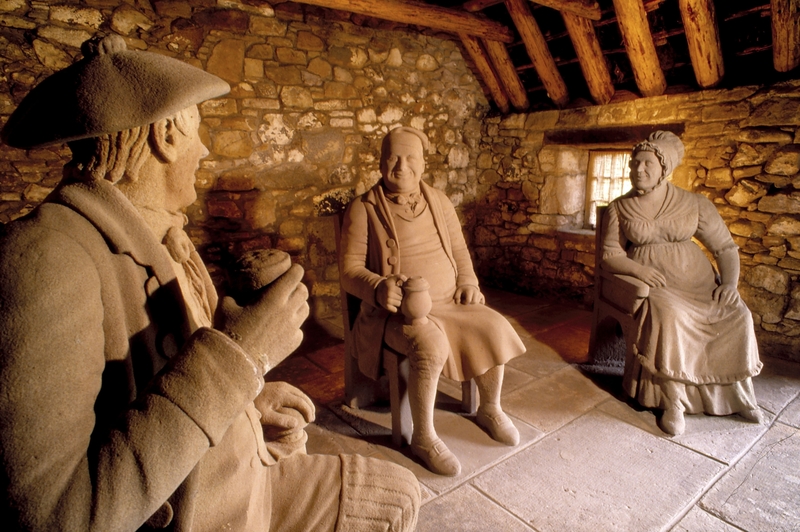 Life-sized stone figures of Souter Johnnie, Tam the innkeeper and his wife in the restored alehouse at Souter Johnnie’s cottage, Ayrshire. 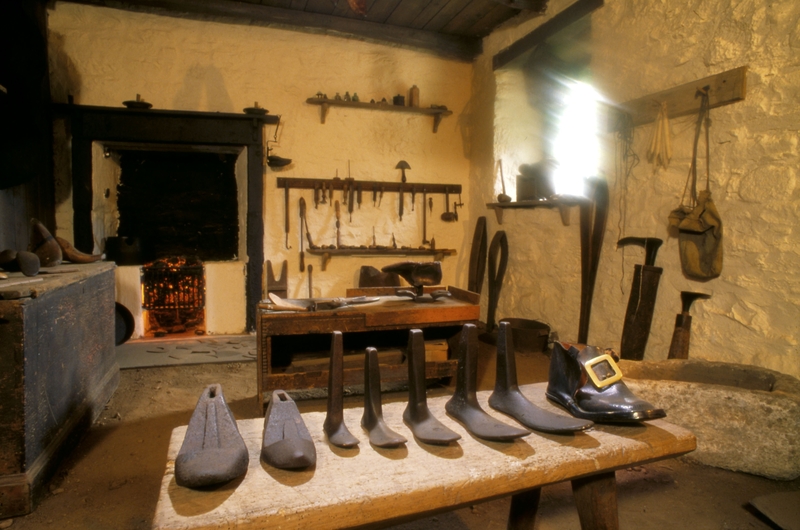 The workshop features a large selection of objects that were used in the process of shoe making. At the Robert Burns Birthplace Museum there is one object that belonged to Davidson – his hand guard used for protecting his hand while stitching shoes. There are other really interesting objects dotted around Souter Johnnie’s Cottage – when you are there have a look for a Family Bible and a large gun over the fireplace. Souter Johnnie’s is currently undergoing some exciting conservation work. So far the cottage extension has been re slated and over the coming months the main cottage roof will be re thatched. There is also a photographic exhibition which shows local images of Old Kirkoswald in the cottage. An exterior view of Souter Johnnie’s Cottage. After you have visited Souter Johnnie’s, there is a lot of exploring in Kirkoswald. The village kirk yard (on the Main Street on the opposite side of the road from Souter Johnnie’s) is particularly worth exploring. Three main inspirations for Tam O’Shanter – John Davidson, Douglas Graham (Tam O’ Shanter) and Jean Kennedy (Kirkton Jean) – are buried here as well as Robert the Bruce’s baptismal font. 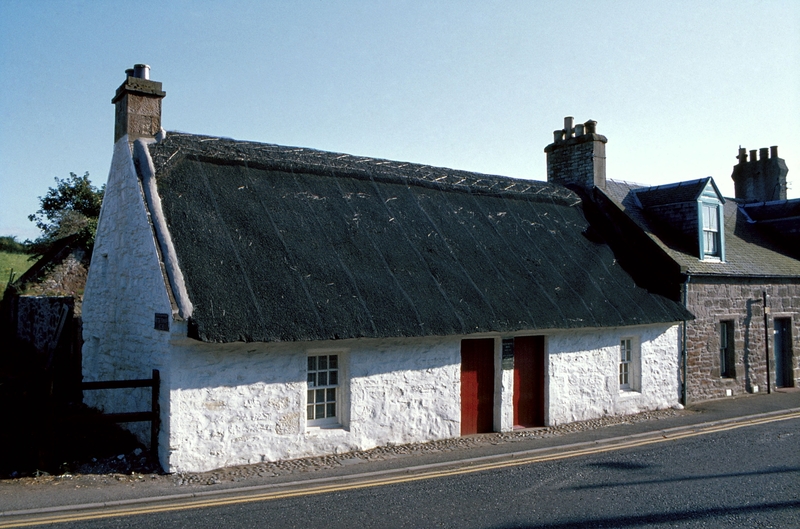 The Robert Burns Birthplace Museum, the Bachelors Club and Souter Johnnie’s Cottage make a fantastic day out exploring Burns landscape and history in Ayrshire. This entry was posted in Local History and tagged 18th century, Agnes Broun, Ayrshire, Burns Landscape, John Davidson, Kirkoswald, learning, Photograph, Shoe maker, Souter, Tam O' Shanter. Summer at the Robert Burns Birthplace Museum? Well, this year it’s been dreich and dismal (just like the rest of Scotland). It’s been an appalling season in terms of the rain and yet, as the wheel of the year turns; little coloured symbols of summer have shown their face. I’m referring of course to our array of wildflowers. Walk along the Poet’s Path just now and there are plenty to see and appreciate (Look especially along the hedgerow atop the dyke). A more striking specimen is the White Musk Mallow (Malva moschata ‘alba’) whose large white flowers are very much in evidence just now. Musk Mallows tend to be a delicate pink but this white variety (which is not native to the UK) is found along the dyke top on the path. 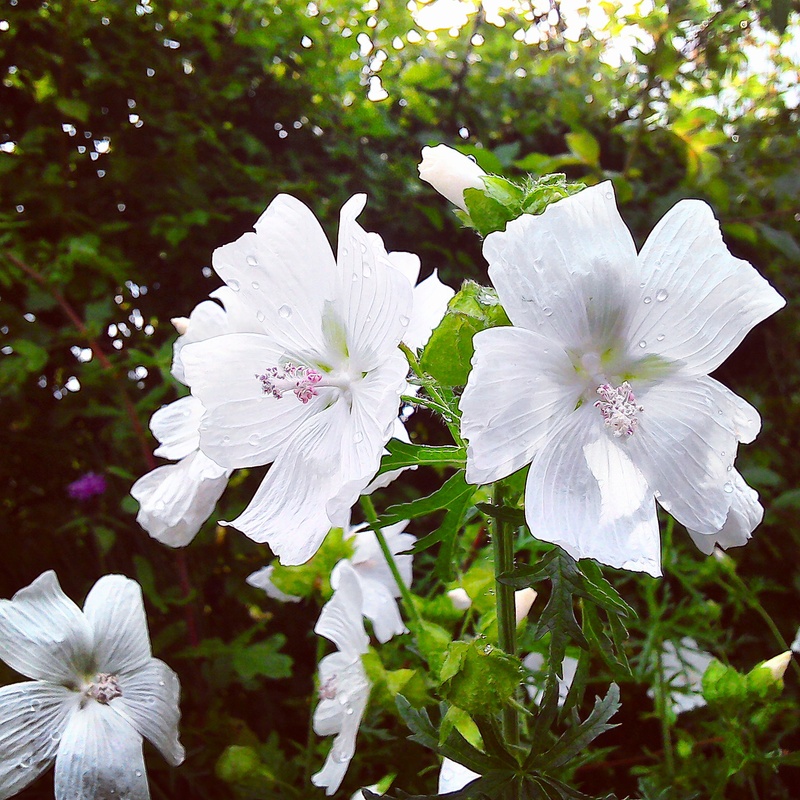 Musk Mallows were used by herbalists in the past to prepare a treatment for coughs and throat disorders. 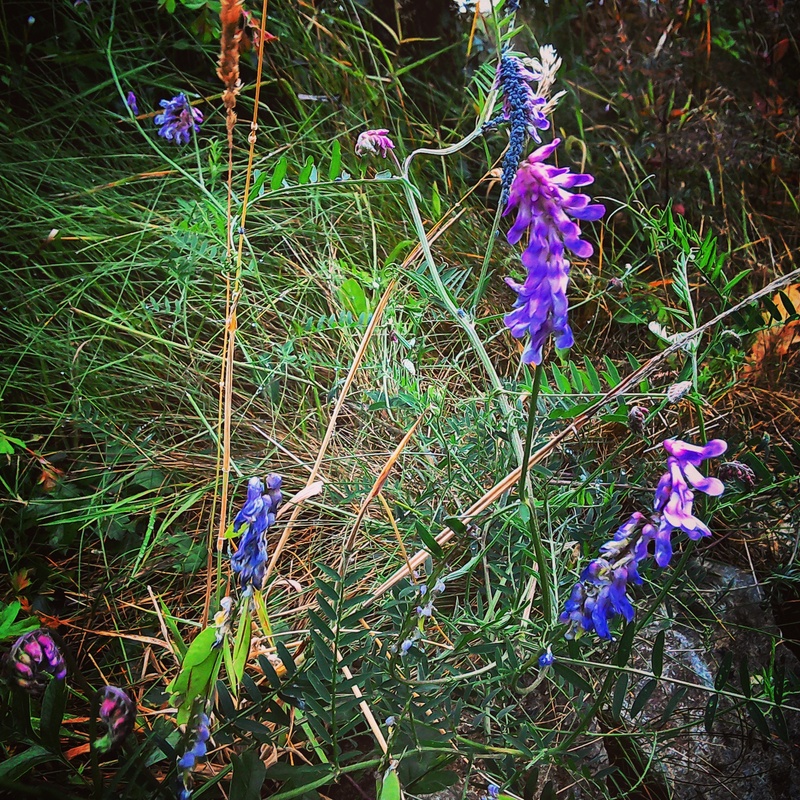 Tufted Vetch (Vicia cracca) can be found growing up through the hedgerows along the path just now. Its bunched purple blooms seem to be stacked up on top of each other. It’s a climber and its little tendrils spread like bindings through bigger support plants (such as the hedgerow hawthorns) and allow it to spread. It’s a member of the pea family and will eventually develop little pods – like miniature peapods – as the season progresses. Yarrow (Achillea millefolium) is also in bloom at the moment. Its flower-heads – composed of many florets of white or pinkish white blooms – appear in creamy sprays along roadside verges and hedge bottoms at this time of year. Its feathery leaves are subdivided many times to give the impression of thousands of miniature leaflets (hence the specific part of its scientific name ‘millefolium’ (Latin ‘mille’ – thousand and ‘folium’ – leaves) The genus part of the name ‘Achillea’ derives from the Greek hero of the Trojan wars, Achilles. 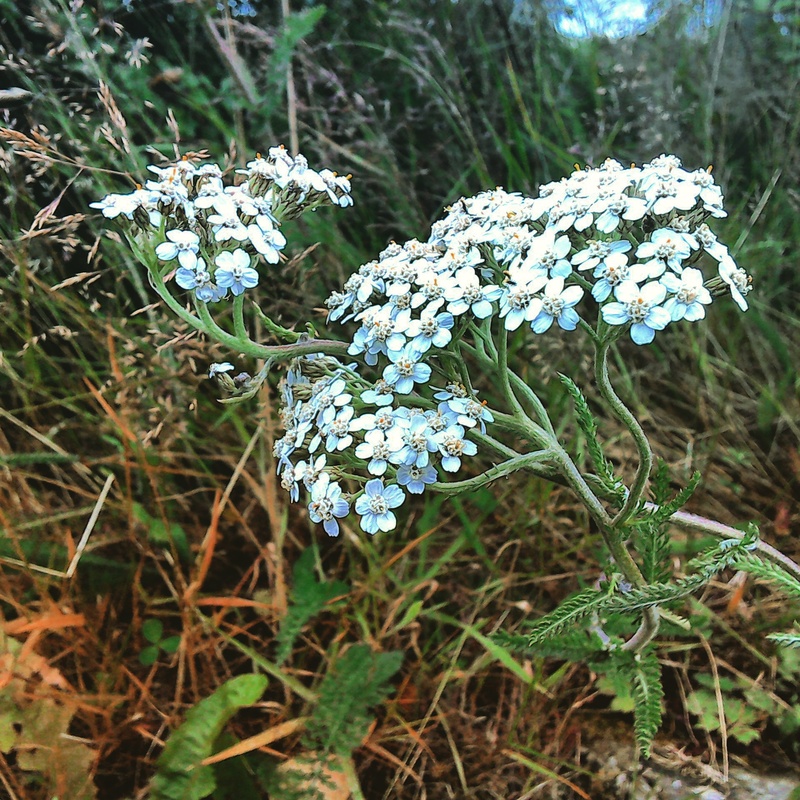 Yarrow is a styptic – it can be used to stanch wounds and suppress bleeding and Achilles –who numbered medicine among his many talents – was said to have used it to treat his troops in exactly this way. 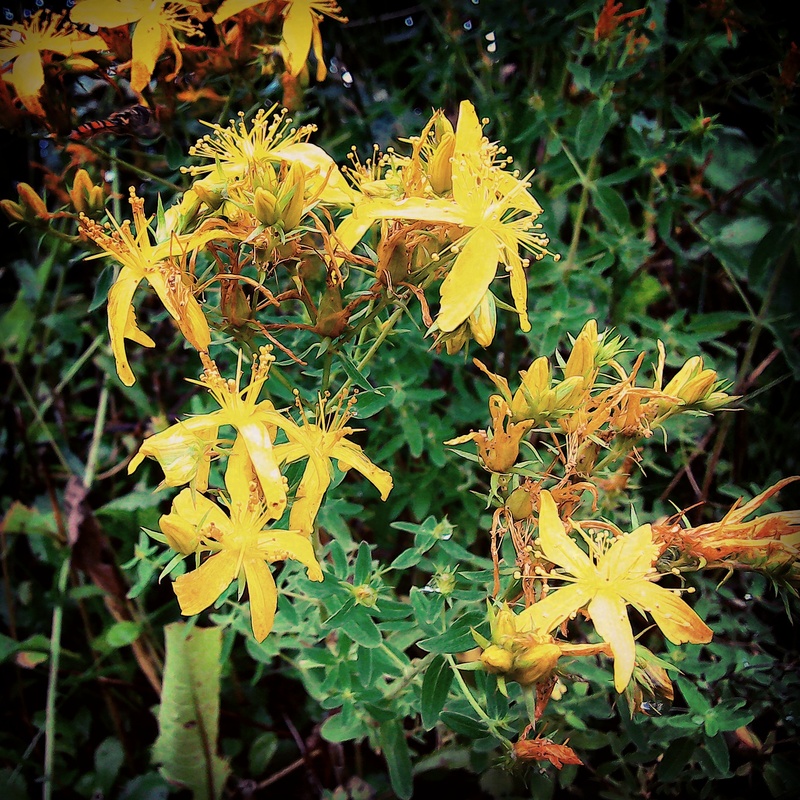 So, when walking along the path, take time to admire these little gems of nature – often labelled as ‘weeds’ by the more unenlightened gardener, and think too about their uses and the stories behind their names. 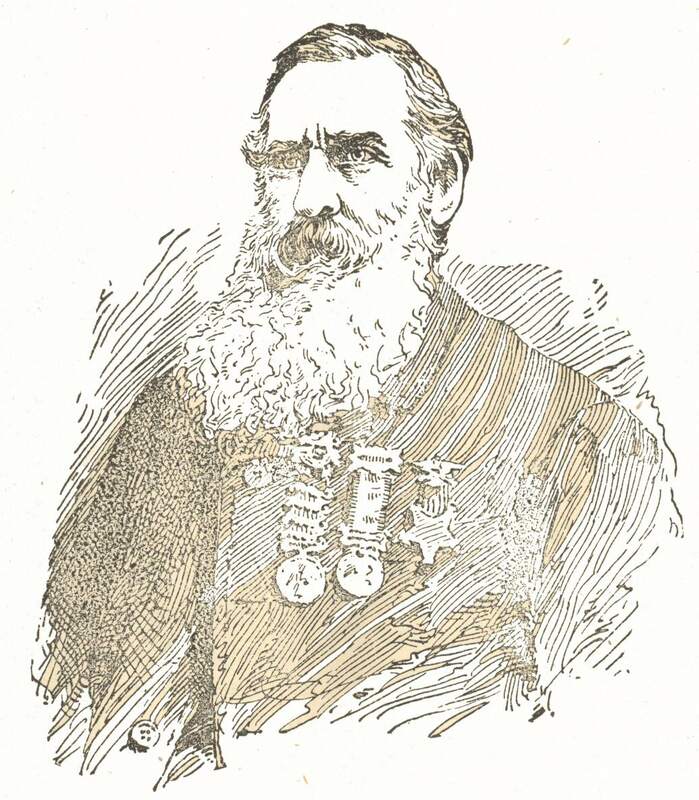 An illustration of Thomas Morley from his 1896 book. Available from Project Gutenberg. 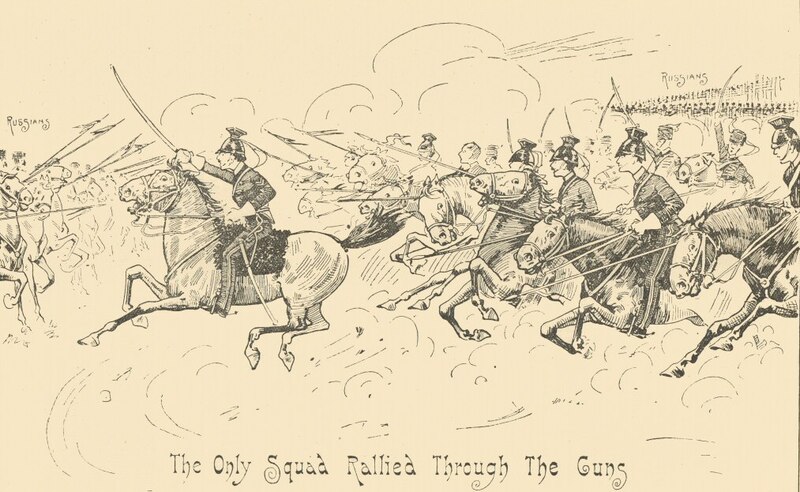 Illustration from Morley’s 1896 book captures the danger and futility and the charge. Available on Project Gutenberg. 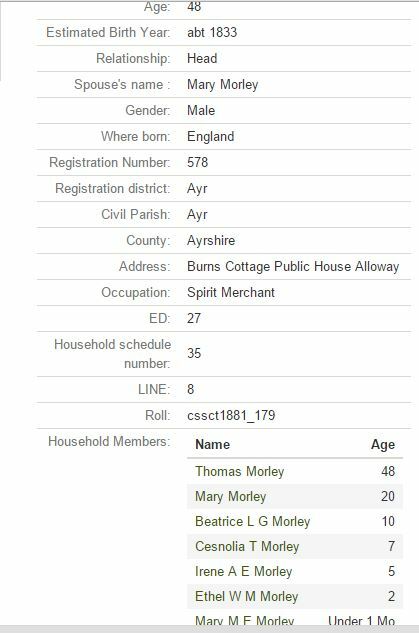 Morley survived his experience though, and after the war he moved to Ayrshire where he was employed as drill troop sergeant in the Ayrshire Yeomanry, and lived at the Auchengree Foundry with his wife Katherine and his children. 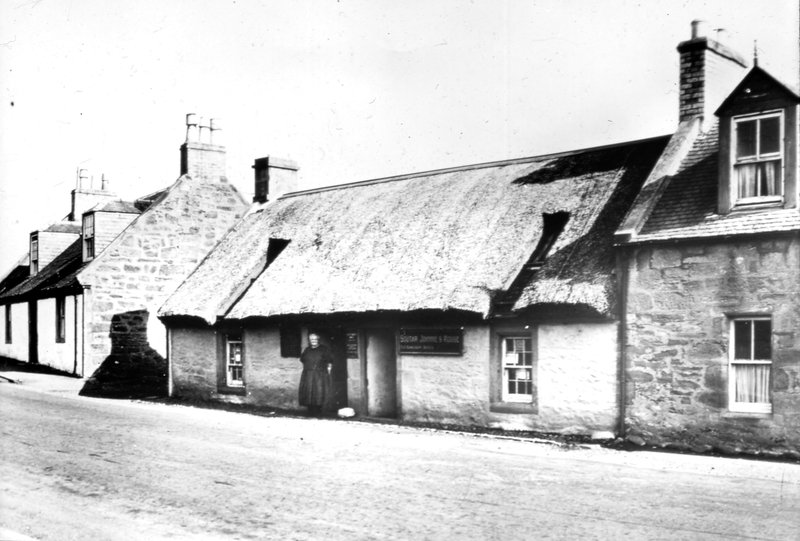 It is not until the late seventies that Morley took on the lease of Burns Cottage (a photo of the cottage in his time can be seen here) where he lived with his new (and much younger!) wife and his children, two of which were born in the cottage. His war experiences are very much revealed in the names he gave his children, Cesnolia and Cesnola after a Brigadier General from the Civil War, and Balaclava from the Crimean War! 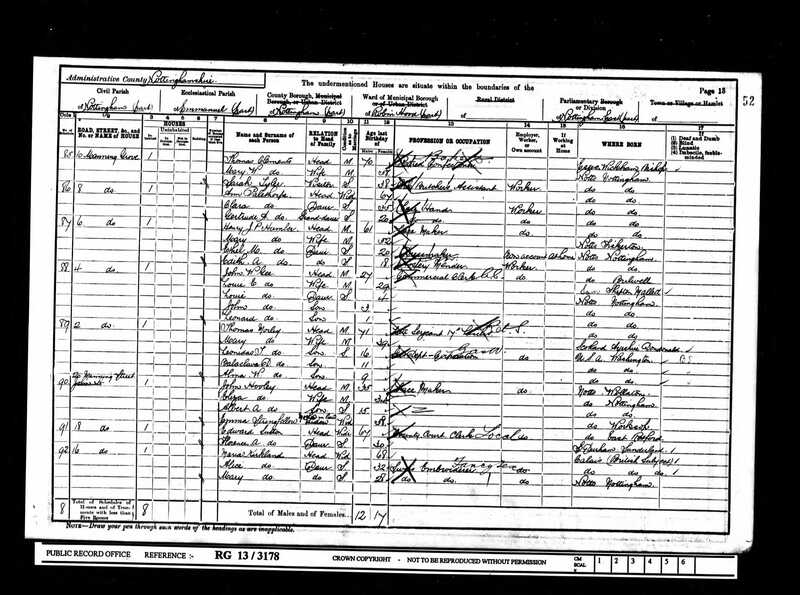 The 1881 Census record for the Morley family. 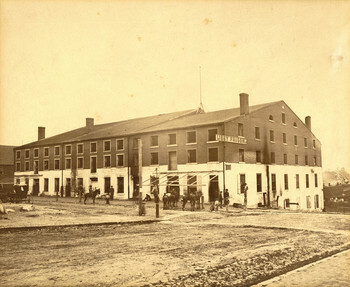 Following their time at the cottage, Thomas Morley returned the States where he worked in the War Department housed at Ford’s Theatre. Three of his children were born in Washington DC and, sadly, 17 year old Cesnola died there in 1890. Another family tragedy occurred in 1893 when Thomas Morley himself was injured in the collapse of Ford’s Theatre and was, from then on, unable to work. The family returned to Britian in 1897 and Thomas Morley lived with his family in Nottingham until his death in Nottingham City Asylum in 1906. The descriptions we have of him seem to suggest a strong, brave, stern man with a distinct northern English accent and with perhaps a tendency to self publicise and to wax lyrical about his military achievements and lack of official recognition. Of what happened to his children, little has yet been researched, though of Balaclava Morley we know that he decided to live in the U.S.A, where he died in Gardena, Los Angeles, in 1978. This entry was posted in Burns Cottage, Local History and tagged 17th lancers, 19th century, america, Burns Cottage, civil war, crimean war, family history, history, light brigade, military history. The Irresistible Irn Bru Cake! We are all big lovers of Irn Bru here so when we saw this recipe we had to try it out! But wee dainty cupcakes wouldn’t have been Burns’s thing – no doubt he would have preferred a good giant slab of cake that would see a working man through the hard slog in the fields. 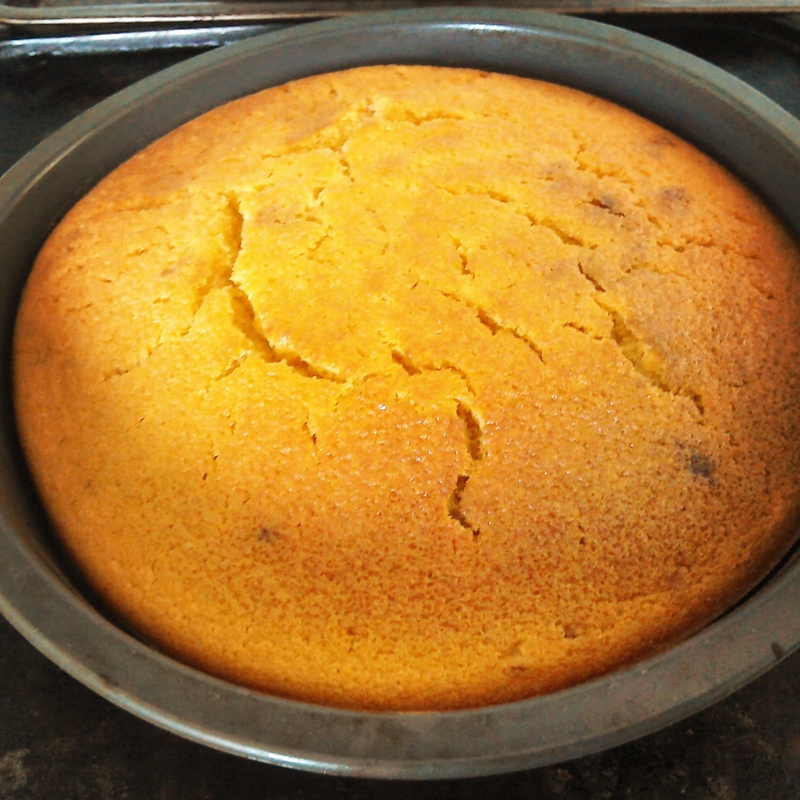 So here we have for you a recipe for this fantastic Irn Bru cake! 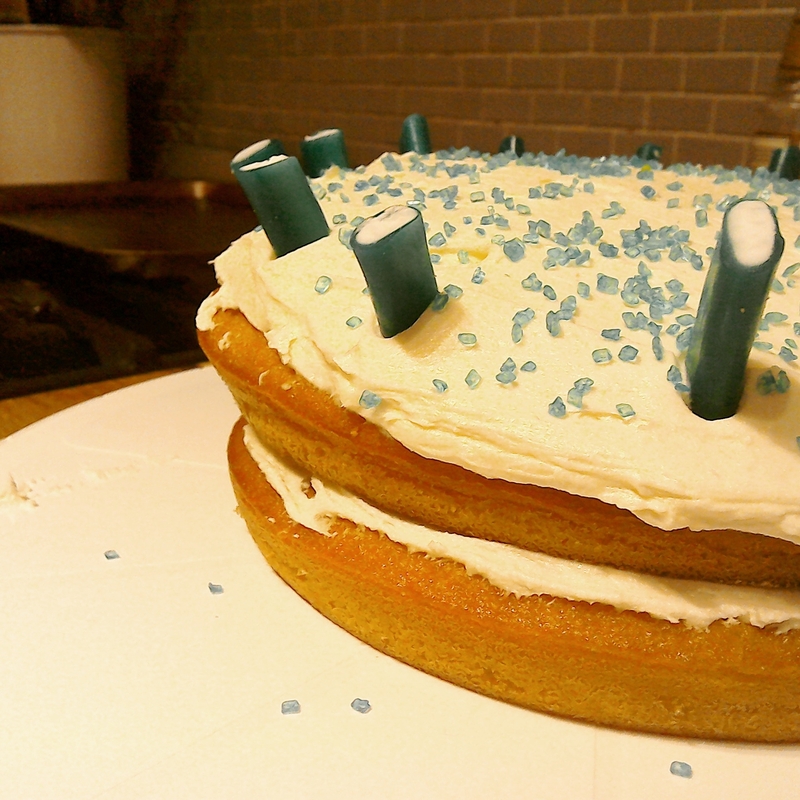 Irn Bru cake…would Burns have been a fan? To make a double sponge like in the picture above, double the amounts of everything. Recipe Source: London Baking blog. Put the room temperature butter and Irn Bru in a sauce pan and heat gently until the butter melts into the Irn Bru, then remove from the hob. 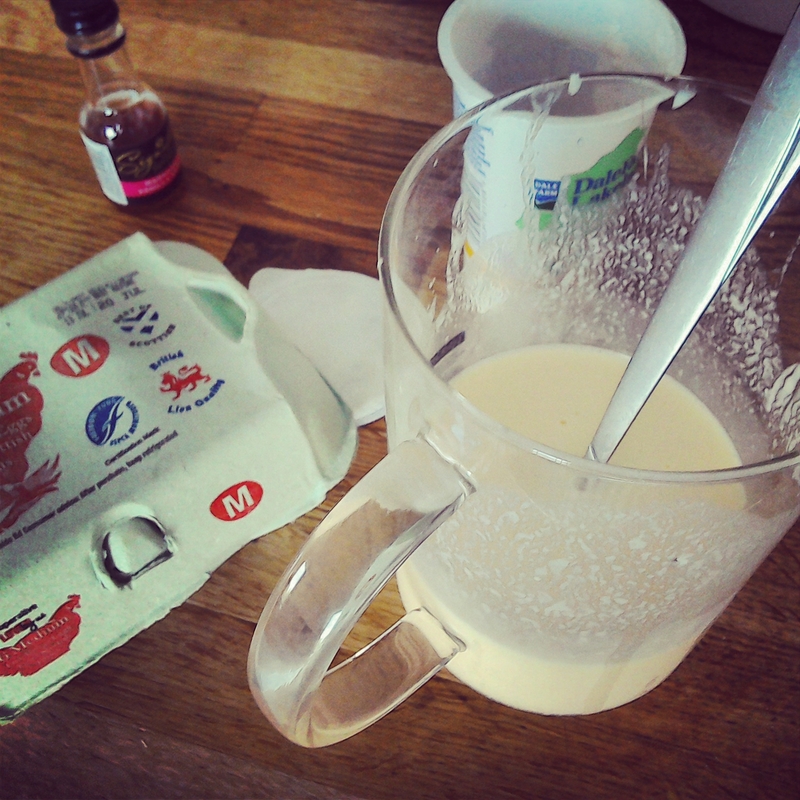 Pour the buttermilk into a cup and add the egg and vanilla essence, beating it all together. Make a well in the centre of your dry ingredients and add the buttermilk mixture and the butter/irn bru mixture and mix until fully combined and any lumps have gone. 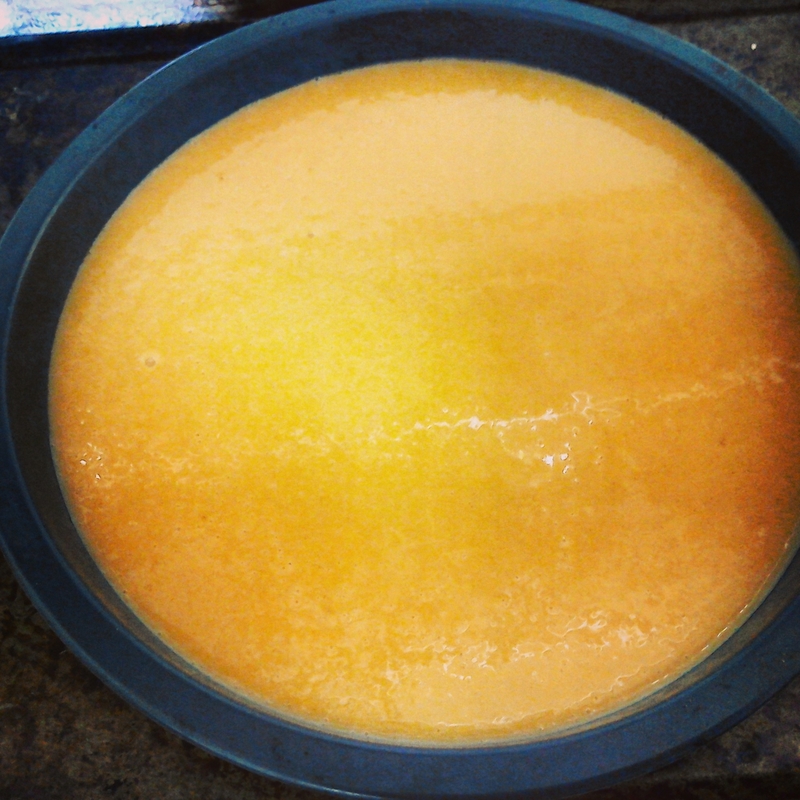 To make the cake look orange, add some orange food colouring. Pour into a cake tin (making sure it is greased or lined with parchment paper). 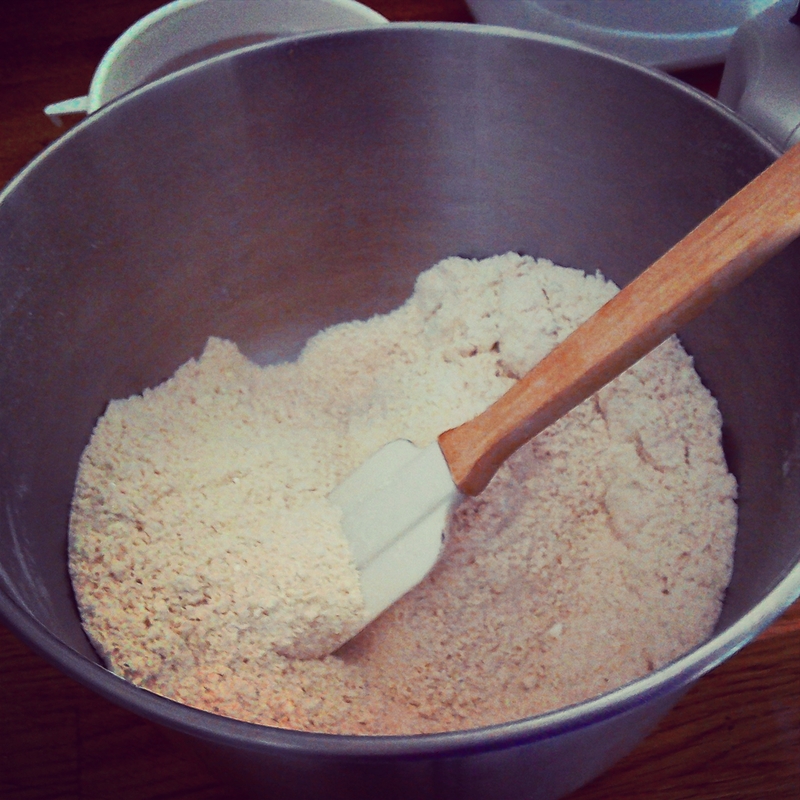 Bake for 30-40 minutes or until a pick inserted into the middle comes out clean. Cool on a wire rack. Make the icing! Cream room temperature butter in a bowl, then add the icing sugar and vanilla extract, beating the mixture until all ingredients are incorporated. 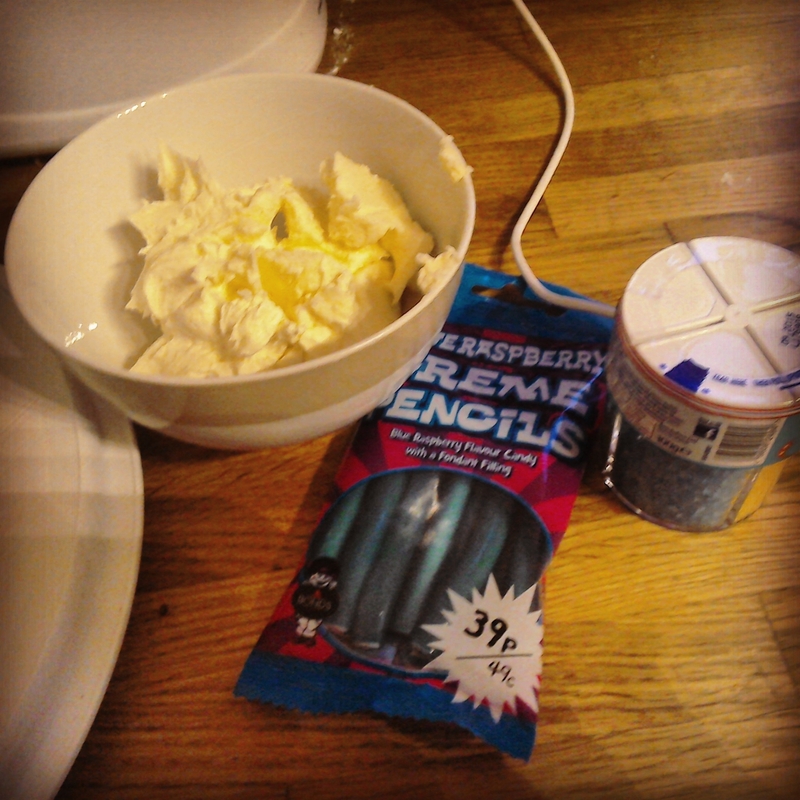 Spread icing onto the cake and decorate with all the unnaturally blue sweeties you can find! 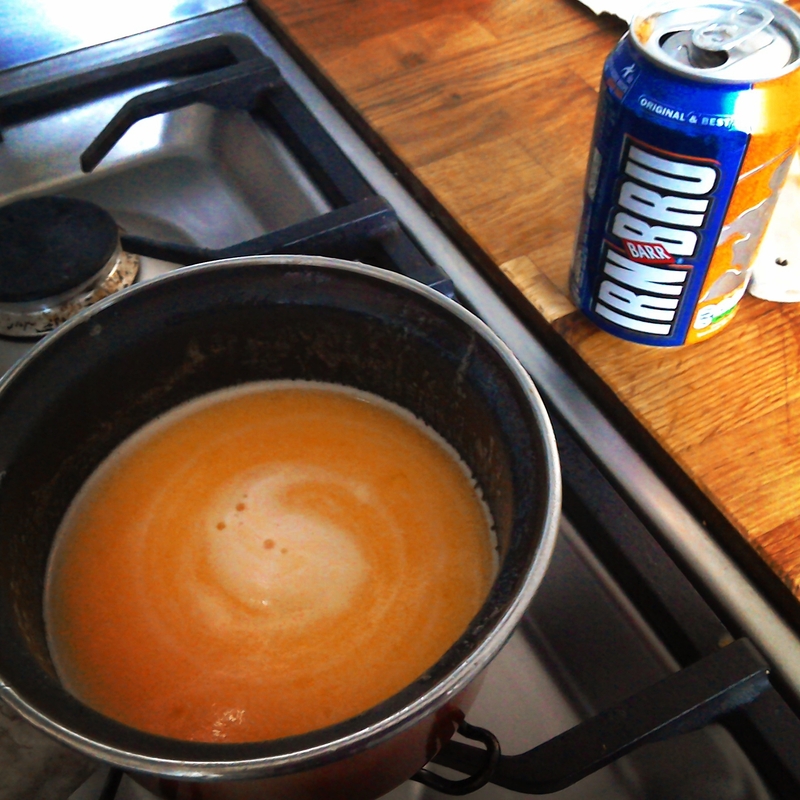 Keep an eye out on our blog for more Irn Bru recipes in the coming months! 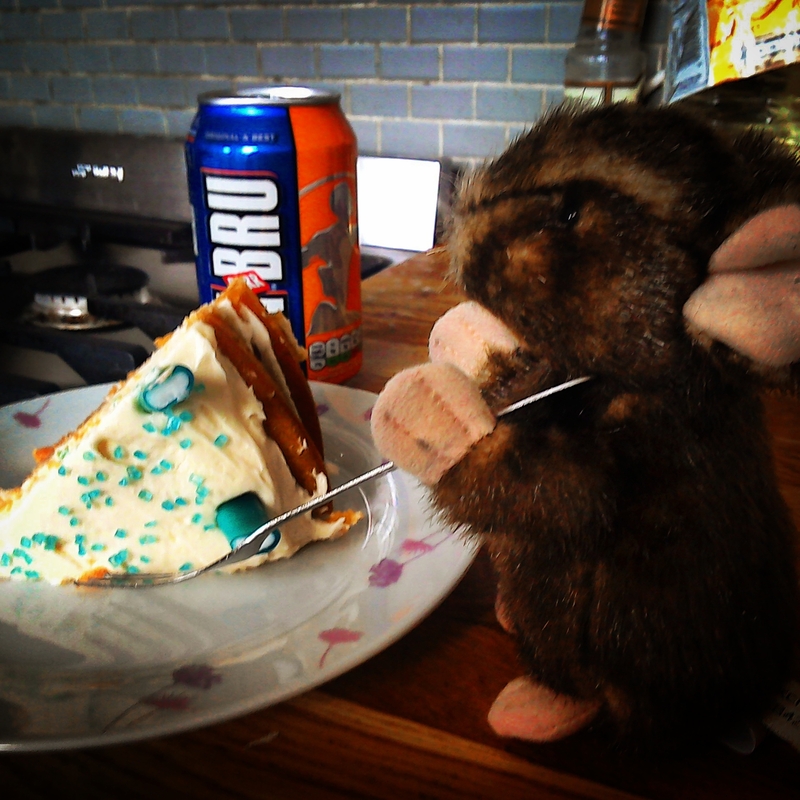 This entry was posted in Recipe and tagged baking, cake, Food, Irn Bru, Scotland.